There are many kinds of mallows in Britain, but one of the most common species is shown here. 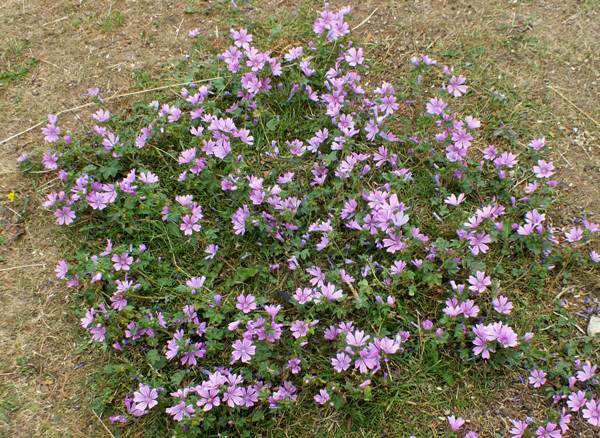 Mallows like dry conditions and are often seen on roadside verges. The flowers, which are typically 30mm to 60 mm across, appear in July and August. 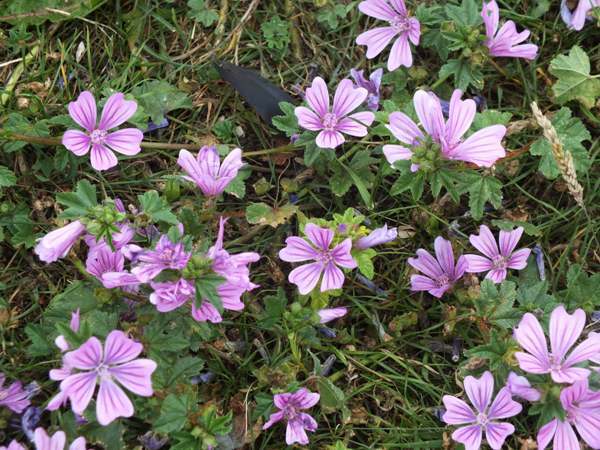 Common Mallow is found throughout much of Europe including some Slovenia and other Central European countries. A close relative, with finely divided leaves, is the Musk Mallow, which thrives in the fertile soil near rivers and lakes.